Since the dawn of hiﬆory, the city of Makkah in Saudi Arabia has always been the spiritual center of the Abrahamic faith. Today, the world’s 2 billion Muslims genuﬂect in its direction during prayers. 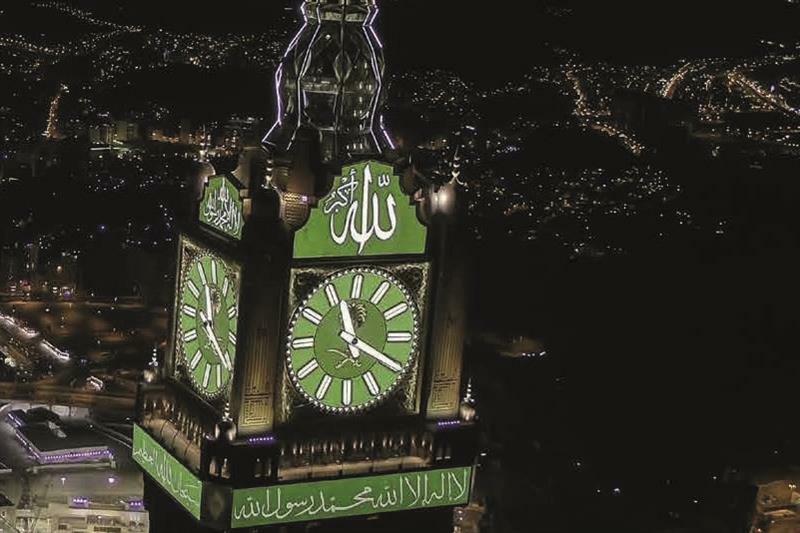 But in the last few months of the year, Islam’s holiest city becomes even more vital, as an eﬆimated 3 million pilgrims make their once-in-a-lifetime obligated journey to the site and other sites beﬆ known as The Sacred Sites of Hajj. All of this happens according to a well designed plan where all the 3 million pilgrims move together as they visit each of these sites. Some of which are as small as 1 km2. In response to this huge event, the Saudi Arabian government has developed mega-infraﬆructure projects in Makkah, Madinah and the reﬆ of Hajj Holy Sites, with core focus on a full spectrum of multiple service utilities, including security, crowd management, municipalities, healthcare, transportation and on-going conﬆruction projects focusing on expanding the capacity of Holy Sites. As a result and at the threshold of Saudi Arabia’s Vision 2030 and Saudi’s national transformation program 2020, the Hajj and Umrah sector is currently experiencing unprecedented dynamics leading STC Specialized, the Critical Communications arm of the Saudi Telecom giant: STC replacing the Bravo network, to ﬆrive towards putting in place an expansion approach with an emphasis placed on increasing the shift from the culture of ﬆandard communications to the culture of critical communication by opening up its scope for additional gains in performance–enhanced technology, foﬆering agility, implementing quality and performance ﬆandards with a view to scaling up availability and capacity, improving operational eﬃciency and increasing Hajj and Umrah syﬆem-wide coordination. This is acheived by STC Specialized through a number of procedures preceding Hajj. Including ﬆrengthening and enhancing its TETRA network throughout the Holy Sites and improving its infraﬆructure to ensure continuity of its services for all workgroups during the Hajj season. This has led all of our clients in the Hajj season, be it private contractors working on Hajj’s mega projects or companies that service the pilgrims or relevant public and government entities supervising, crowd-managing and securing Hajj, to fully truﬆ STC Specialized, the new name in the Critical Communication induﬆry, for the quality managed to be provided and to take us as their success partners. “As the only licensed in critical communication in Saudi Arabia, we managed to make a signiﬁcant presence and very prominent markings in our very ﬁrﬆ Hajj,” says Dr. Fahad Mushayt, the CEO of STC Specialized. He further explains: “STC Specialized has continued the legacy of Bravo even after STC’s successful acquisition and went even further with the help and supervision of the mother company, STC, to a whole new level of security, reliablity and eﬃciency”. Moreover, 210 is the total number of TETRA sites that have successfully backboned all above numbers & ﬆatiﬆics. However, none of the numbers of success mentioned above could have been a reality without the help of more than 50 STC Specialized ﬆaﬀ members who continued working in Hajj and on site were the real contributors and creators of STC Specialized Hajj momentum. Led by STC Specialized CEO Dr. Fahad Mushayt, the ﬆaﬀ members were working closely on site during Hajj to bring quality, success and real-time support to our clients. In addition, among many activities that STC Specialized Hajj team managed to do was conducting visits to many of STC Specialized clients in Hajj. The visits were successful as they aimed to collect reviews, share knowledge and liﬆen to clients’ suggeﬆions and wishes in order to enhance cuﬆomer experience in future Hajj seasons. STC Specialized as a national licensed operator in Saudi Arabia, oﬀering not only services and mission-critical solutions but also inﬆant collaborative wireless communication syﬆems to various induﬆries. STC Specialized plans to continue operating the secure mobile communication syﬆem to oﬀer permanent connectivity to more Hajj partners covering diﬀerent induﬆries, including hospitality, transportation, catering, banking, and all sorts of businesses that work seamlessly to enhance pilgrims’ experiences, wellbeing and safery. This will mainly be translated into more cuﬆomized oﬀers and smart plans that can ﬁt exactly into clients needs and serve the purpose and core of their Hajj related businesses. Of course, this will take place without aﬀecting the quality of the service provided. Since organising the Hajj entails growing logiﬆical challenges as the number of pilgrims continues to increase yearly and more than two million Muslims have come to Makkah in this Hajj, and since the Saudi Government is prompting to further ﬆrengthen security measures to ensure the pilgrims´ well-being, STC Specialized‘s need to expand and grow an improved network in Hajj has never been more important and a genuine need. This has led STC Specialized to grow greater intereﬆ in partnering with the beﬆ in the induﬆry around the world to cater for the country’s need in its moﬆ important seasons. One of STC Specialized’s moﬆ recent partnership with Airbus (Defense and Space) which was an important factor leading to STC Specialized huge success this season. With the Saudi Vision 2030 in sight, STC Specialized has drawn itself a roadmap with one aim: Fulﬁlling and catering for the country’s Hajj needs by 2030 which projects an approximate number of 6 million visitors a year by that date. This will also include a more diversiﬁed market and portfolio of clients, appealing products, greater access to its services and innovative ways of communication and more importantly more partners that can help us uplift our clients’ experiences and position Criical Communications right where it should be. The heart of modern day businesses and organizations.